Lollapalooza 2014 | DressCodeClothing.com's Official Blog. 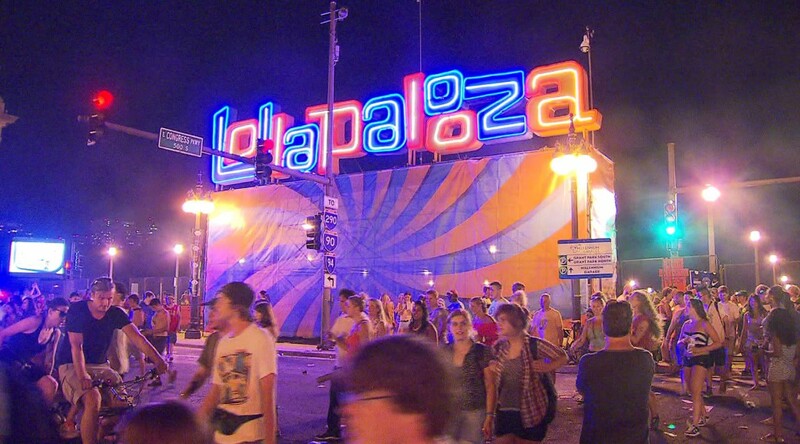 The famous Lollapalooza turns 23 this year, known as one of the longest going music festivals in the United States and is only continuing to get bigger as time passes. This year, Eminem will be headlining the festival in Grant Park, along with Outkast and Calvin Harris, just name a few, so there’s no wonder why tickets have been sold out for months now. Aside from your normal Music Festival experience, there are a ton of other attractions to keep you as well as your screaming children occupied. Kids ages 10 and under get in for free, and are able to hit up “Kidzapalooza” for free also. This festival within a festival, will feature live shows for the kids as well as multiple children oriented music workshops and snack spots. With Chicago’s own celeb chef, Graham Elliot hand selecting each of the local restaurants/food being served in ChowTown there is no question there will be some of the best Chicago food spots on site available for dining. From your average Chicago style hot dogs and pizza, to your not so average Lobster Corn Dogs and Spicy Mongolian Beef Baos , there will be a little something for every to “chow” on. Now getting back to the real reason you’re all going, the music. With well over 50 different acts performing in just 3-day span, you can expect to get enough concerts under your belt for the rest of the year. And you will also probably need some cool Band/Artist merchandise to rock at the shows. As always, we’ve got you covered on that end. Let us know who you are most looking forward to seeing in the comment section and check out a few tees I picked below.